The Mothman is a scary, unexplained creature with large red eyes and large wings like a moth. 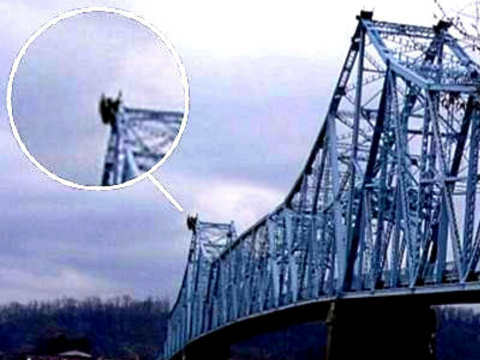 It was first sighted in Point Pleasant, West Virginia and was made famous by the 2002 movie The Mothman Prophecies and has appeared before major world disasters. The creature often appears to have no head, with red eyes set into its chest. 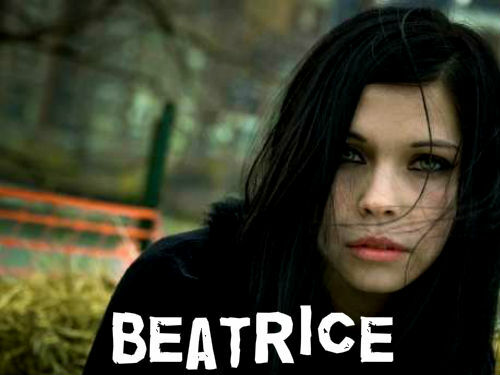 It has been photographed and been seen by eyewitnesses and has chased and harrassed a number of people. 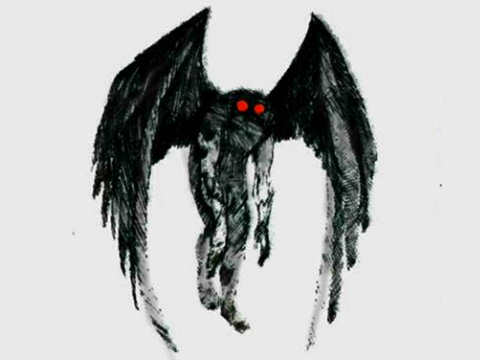 The first sighting of Mothman was in November 1966 in Point Pleasant, Virginia. Two newlywed couples were driving together on Route 62 when they saw a dark figure on a hillside up ahead. It was almost 7 feet tall and it had red eyes and large black wings folded behind its back. As they watched, it spread its wings and flew into the air. They sped off, but the dark figure followed them, even though they were driving at over 100 mph. Later that night, a man was at home watching TV when the screen suddenly went dark and was filled with a weird pattern. Just then, he heard a loud, high-pitched whining noise coming from outside his house. When he went out to see what it was, he saw two large red eyes staring at him from the darkness. His dog took off after it and never came back. That night, the man was so scared he slept with a gun next to his bed. Another family in the area spotted a dark figure outside their house. It was almost 7 feet tall, with terrible glowing red eyes. The figure came onto their porch and peered through their windows. The family were so horrified that they locked their doors and called the police, but by the time they arrived, the creature had vanished. News of the strange sightings spread around the world and newspapers nicknamed the creature “Mothman”. Between 1966 and 1967, over 100 people saw the mysterious Mothman. On December 15, 1967, a major disaster hit the town of Point Pleasant when the Silver Bridge collapsed during rush hour traffic. The cars plunged into the dark waters of the Ohio river and 46 people were killed in the accident. That night, eerie lights were seen in the sky all over Point Pleasant. The Mothman was never seen again after the bridge collapsed. Many people believe that Mothman had something to do with the disaster. Mothman has also been sighted just before other world tragedies, such as the Tsunami in India, Chernobyl in Russia, the wars in Afghanistan and Iraq, and September the 11th in New York. In 2002 the story was made into a movie, The Mothman Prophecies, starring Richard Gere and Laura Linney. The paranormal reality TV show Paranormal State investigated the Mothman mystery in 2008.
this mofo is the reason why i love cryptids so damn much. Imagine meeting this guy in a dark alley. Seriously!! Are not just simple moths terrifying enough that there had to a be mothMAN??! @pinkKaygana I don’t know if he causes disasters but if he chases and harrasses people then he’s probably bad. My mom used to run around the house screaming, “It’s the Mothman! Ahhhhhhhh,” while waving her arms like she’s flying. 0_0 Yes. Really. i seen the mothman when i was 12 in 1995 it was in oct,31,1995 that was when i saw him i was freaking out then i got it on tape i will like to share the tape with you but how i give it to you ? all you need is a giant fly swatter or some bug spray. I believe the Mothman is there to scare people away from the sights so they don’t get hurt or worse. So in other words, I believe the Mothman is GOOD! AHHH!!! HELP ME! A GIANT MOTH IS LOOKING AT ME! AHHH! IT JUST FLEW AWAY BEFORE I COULD RUN AWAY!